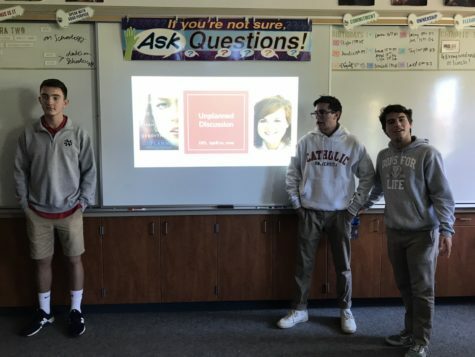 Cathedral Catholic High School students experienced an eventful week, filled with Yellow Ribbon Week events, junior career day, and athletic events. Yellow Ribbon Week provided CCHS students an outlet to learn about suicide prevention and mental health, with each day of the week themed a different color. Junior class members learned about potential career options on Friday from business owners and professionals at Junior Career Day. The track and field team faced Point Loma High School and Patrick Henry High School Thursday at Manchester Stadium, with the girls team topping both PHHS and PLHS and the boys team defeating PHHS. 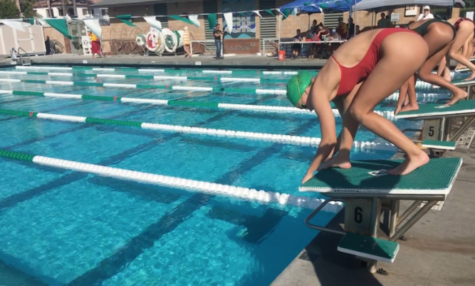 The swim and dive team competed against Scripps Ranch High School in an away meet, taking home the victory. 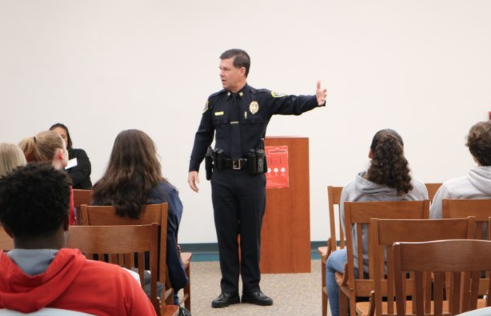 Lieutenant Scott Wahl of the San Diego Police Department delivers a speech regarding his life as a police officer in the Academic Center as part of Friday’s Career Day presentations. Career Day helped CCHS juniors learn about professions in various fields such as Education, Health, Engineering, Arts, and Law Enforcement.